Tell us about Champagne Leclerc Briant and how you got involved with the Maison. Again it was down to a chance meeting. Leclerc Briant very nearly folded in 2010 following the accidental death of its then president, Pascal Leclerc, who was the 5th generation of the Leclerc family to run the estate. Following his death, the vineyards (some 30 hectares in total) were sold off to the big champagne houses, but the business itself—along with the buildings and the wine in the cellars—were acquired by a very astute American couple who recognised in Leclerc Briant, the true gem it could become. I met them by chance just at the moment they had concluded the acquisition and they invited me to join the adventure as co-owner with total operational control. At the time I was president of a wine cooperative in the Loire Valley, but it didn’t take me long to decide what I wanted to do. In its heyday the House of Leclerc Briant was at the forefront of the organic and biodynamic movement in Champagne. I’m talking about the 1970s before any system of standards or certification had been put in place, but absolute respect for the environment, for the vines, for the grapes, and for the wines have always been paramount at the House of Leclerc Briant; these are values that are deeply engrained in the DNA of the company, and the same holds true today. 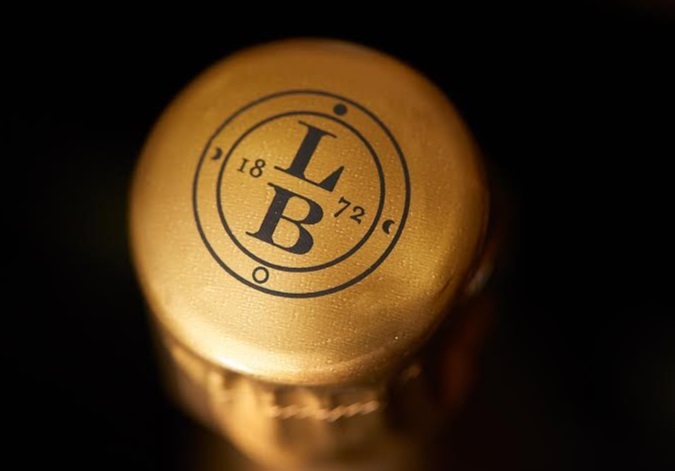 Leclerc Briant is the only major champagne house whose entire production is certified as either organic, or biodynamic. My fervent wish is to turn Leclerc Briant into the jewel it can be, producing wines of the utmost quality that are ‘alive’ and give our customers moments of rare enjoyment. What strategic partnerships/marketing strategies have you implemented that have attributed to Leclerc Briant’s success? We’re in a period of renaissance after the house nearly disappeared. We’ve decided to revisit and update our two fundamental values: respect (for the vines and for the wines), and singularity (in the wines we produce and in the way we communicate). Our marketing style is based on these two pillars and you can see this in the labels which are discreet, uncluttered and don’t detract from the main focus, which is the wine. Our communication focuses on specialist journalists, wine influencers (well-known wine merchants, sommeliers, and restaurateurs) and opinion leaders. Regarding the champagnes, we put particular attention on our Single Vineyard Selection (from individually named plots), which we believe are the ultimate expression of a vineyard managed biodynamically. I think the champagne market is a bit saturated by the big, international brands. What we’re witnessing now is the emergence of interest in smaller producers who offer something more original, more sincere and more honest, and whose focus is on the wine itself. Organic champagne is a response to this change in consumer expectations. A life not shared is no life at all! Does Champagne Leclerc Briant have a motto? Leclerc Briant – Bio-Chic ! Your greatest success as president and a principle of Champagne Leclerc Briant? I’m absolutely delighted by the buzz in the specialised press in France and in the USA that we’ve created in just a few months since the re-launch. This reassures me that we’ve made the right decisions about brand positioning. Over time there have been many challenging moments, but I don’t believe I can pinpoint just one. I can say that many situations can be attributed to—and this may be a bit cliché—the fact that old habits die hard. I’ve learned that you must be willing to open your mind to new concepts, new ideas and new ways. It is vital to find success and belief on the inside first before you can expect to succeed on the outside. Don’t make any concessions on the quality of your products. You need unshakeable self-belief and you need to spend a lot of time in the marketplace meeting your customers. By explaining things in detail, by sharing ideas and by insisting that staff develop cross-functional skills. An accountant has to be able to talk about our products and a salesperson has to be able to read a balance sheet. Vegetarian pizza and a bottle of Leclerc Briant Cuvée Divine Solera – it may sound paradoxical, but it’s a match made in heaven. Le Roi des Aulnes by Michel Tournier – a book that has changed my life. I hope there’s a good translation in English! Yves Benard, the then president of Moët & Chandon who hired me in 1983. I worked closely with him for more than 20 years and for me he’s the perfect example of a businessman and a human being. I often told him that he was my spiritual father, both on a business and on a personal level. I love running marathons. My times aren’t that spectacular, but I stick to it. I’ve done about 20 all over the world since the 90s and I’m still hopeful that I can manage one more in 2015 to celebrate my 60th birthday. The inaugural launch of the Orion spacecraft – it’s a glimpse of the future for humanity. What's next for Champagne Leclerc Briant? Our next new product will be a Pure Cramant Vintage 2012 champagne, produced in oak barrels without the use of sulphur – a marvel of biodynamics.